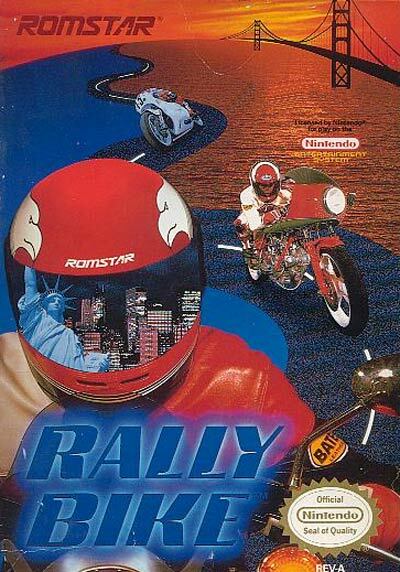 Rally Bike is an arcade game released by Taito Corporation in 1988. Rally Bike is a race game, where the player controls a motorcycle and must cross the finish line before an established number of competitor bikes. Fuel is a major obstacle, as running out of it results in game over. Any accident will cause great reduction of fuel, and stopping to refuel will cause competitor bikes to take advantage. Competitors never run out of fuel.